Home Disneyland Interesting Read: Here's What An Abandoned Magic Kingdom / Disney Land Would Look Like. Interesting Read: Here's What An Abandoned Magic Kingdom / Disney Land Would Look Like. Years ago China opened a Disney Land Knockoff, it closed with the nearby opening of the real Disney. There's something extremely beautiful because of the surreal nature of a huge abandoned theme park. 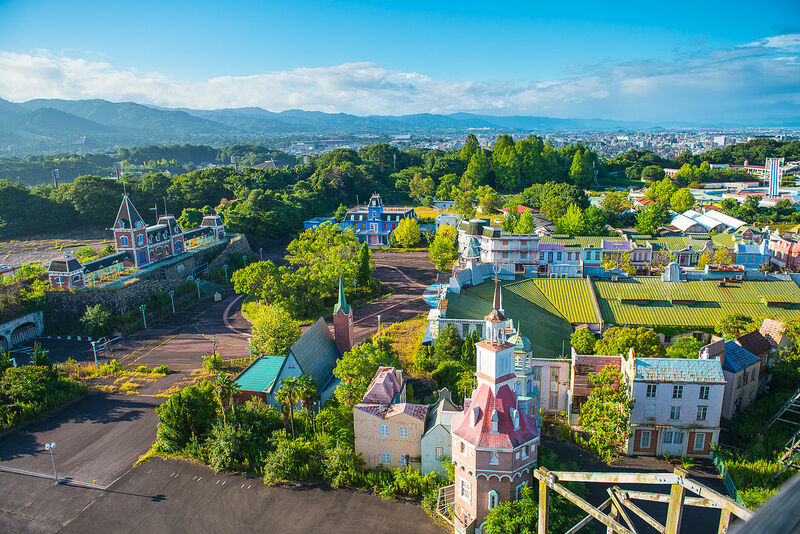 One of the most intriguing abandoned theme park stories has to be Nara Dreamland. The developer copied many of the Disney rides as best he could, from the Matterhorn to the Monorail, the Castle, and even a creepy abandoned Jungle Cruise - this now abandoned park, Nara Dreamland, is what an abandoned Disney would look like if it was untouched for years. These ideas all blatantly copied Disney, but what was built is one of the most famous and best stories of a theme park ever, a park that was just waiting for its demise, but once thrilled tens of millions. On July 1, 1961, Nara Dreamland opened. The entrance to the park was designed to look almost identical to Disneyland, including the Train depot, a Main Street, U.S.A. and the familiar Sleeping Beauty Castle at the hub. It also had a Matterhorn-type mountain (with a Matterhorn Bobsleds-type ride, called Bobsleigh) with the skyway running through it, as well as an Autopia-type pubs and a monorail. The park also had its own mascots, Ran-chan and Dori-chan, two children dressed as bearskin guards. The Proper People have a video below that showcases the fake Disney Land park in my favourite video of this majestic place. The end of the video is in daylight while the first half is at night. The video is extremely tense and interesting to watch. The climb up the "Matterhorn" is very surreal! Unfortunately, demolition is said to have started last year on this beautiful property. The expected time for this to take is 14 months, so once 2018 hits, this incredible story will no longer be standing. Nara Dreamland, from 1961-2017 will not be forgotten.